So this short filmed piece from Nordic design firm Muuto is perhaps a little more lighthearted than traditionally shared here on the site, but thats not without noting the beautiful design at the core of this creative project. I actually really enjoyed this piece as their team got inventive with how they could showcase their collection of furniture and other home based products, I’ve not seen anything like this used before in the same fashion so kudos to Muuto for thinking outside the box. I really hope this pulls in a few more sales for them as it takes a lot of heart to be bold and individual, which is something the firm continually prides it’s entire business on. They aim to expand on the rich tradition that Scandinavian design brings with their own new and original perspective. 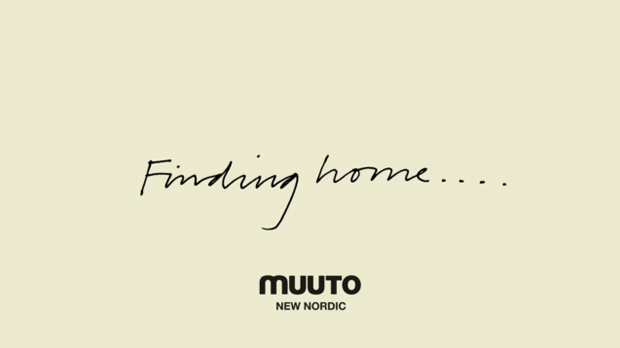 The company name Muuto literally denotes from the finish word muutos which means “new perspective” so I’m really excited to see what their next creative project will bring. In the mean time I suggest you gaze your eyes downward and take in a little of the playful nature that Muuto intended, as it’s refreshing to be offered something captivating for once. As a consumer of advertising I’ve long become tired of commercials that really have no backbone or substance, this is unintrusive, subtle and enviably enjoyable so for all adverting agencies out there take note, bombarding us means we won’t buy.